[Introduction to the article] When we Turn the heat transfer vinyl or heat transfer stick on , we will encounter something very urgent. Ouch, the temperature is 170 degrees and the turn is done three times. How can they vinyl still not on ? Why is it dirty on the scald? It's very good when the scalding, how to wash it off and so on, That’s all customers are afraid, headache, and worry about. Fortunately, you meet the Transfer2paper. Let us share you some skills of heat transfer. 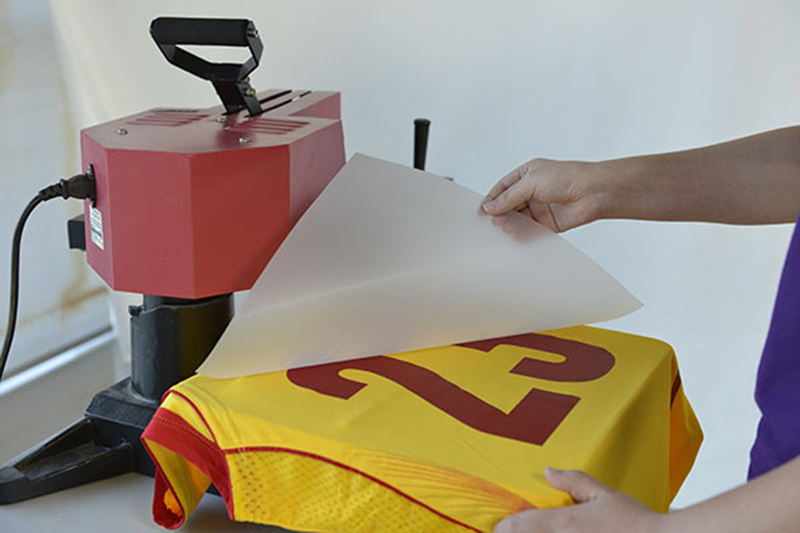 Three elements of heat transfer printing: temperature, time and pressure Repeat the important things. In view of the above two situations, inexperienced customers meet and react first, this material is not good? But the question arises again. How can other customer or factory tests succeed? When we see customers operating by the guide videos, we find that the glue on the heat transfer vinyl has not melted!! Before transfer, you need to read the specification of products, first you need to check the temperature. Temperature plays a role in dissolving and melting hot melt adhesives. 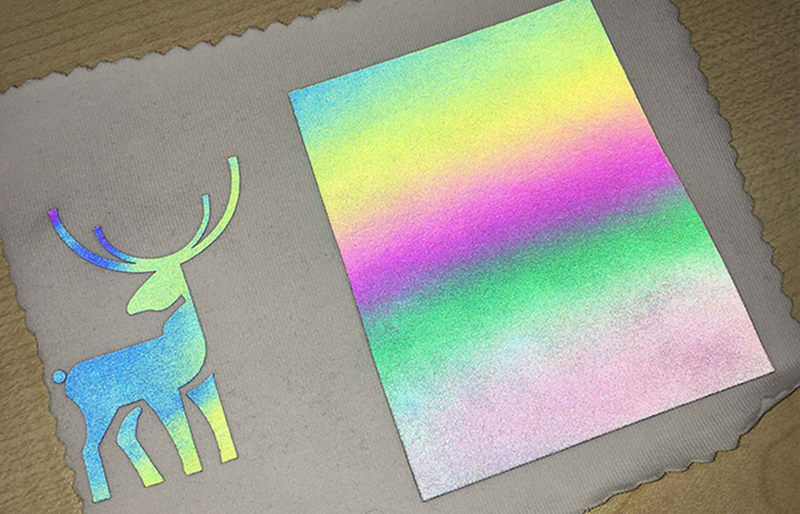 For example, transfer vinyl, scalding time: 150 degrees, pressure: 4.5 Kg, time: 10 seconds, tearing: cold tearing. (A)Calculate the scalding pressure accurately according to the area of the heating plate. Usually the pressure of heat transfer should be set above 0.2KG/square centimeter. (B) Manual operation to test pressure. A simple test of the pressure of the heat transfer machine, put a release film on the heat board, and try to pull the release film, if you can pull the release film, that means the pressure set by the heat machine is not done, need to be re-set! B. A layer of high temperature cloth or anti-sticking cloth is added to the pressing and ironing panel. It is suggested that the temperature of the pressing and ironing should be raised by about 10-20 degrees. C. According to the correct tearing method, such as cold tearing or hot tearing. 4. Why is it dirty on the scald? A. Check whether there are any sundries on the heating board. B. There are sundries on the pattern itself. C. It is suggested to put a piece of silicone oil paper or breathable cotton cloth on the ironing surface to protect the pattern and fabric. 5 It's very good when it's done ,but when it's washed, it falls off. 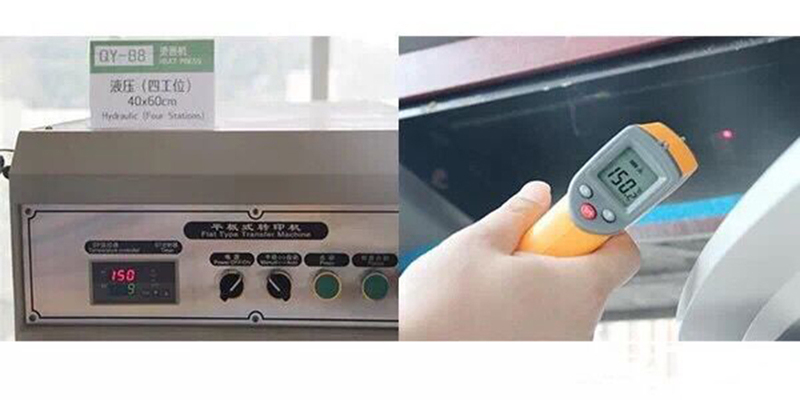 Some customers, who are acute, start to scrub immediately after pressing. 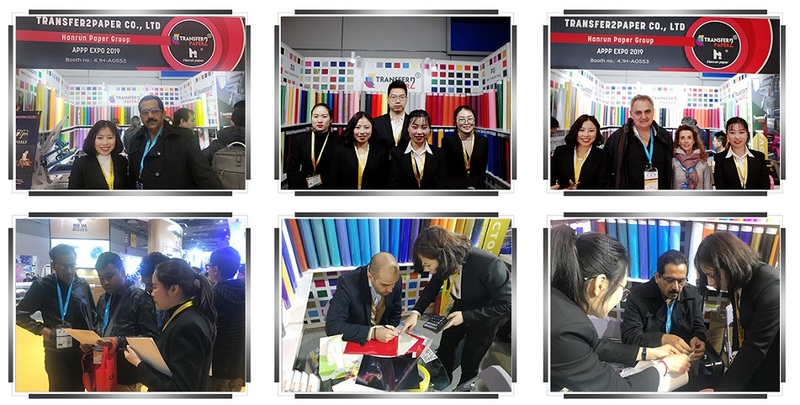 In fact, the glue of fabrics and heat transfer products has not been fully integrated, and the glue has not been completely cooled. Wash immediately, there will be warping edges or falling off. It is suggested that the hot transfer products be scalded and washed 24 hours later.